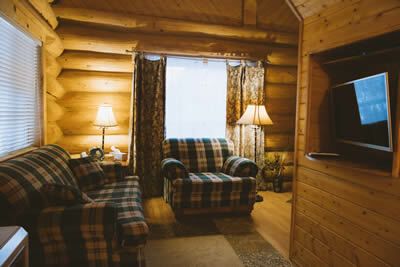 The Log Cabin Villa consist of six very cozy cabins. Each cabin is private and includes a full size and fully furnished kitchen with dishes, cookware and utensils, as well as full size refrigerator, microwave, toaster and coffee maker. 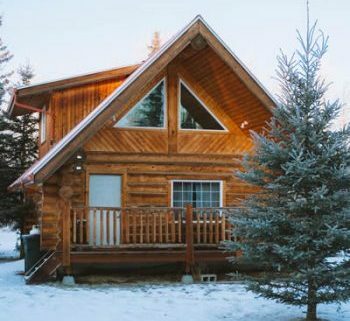 These two-story cabins include TV, cable, DVD and high-speed internet. 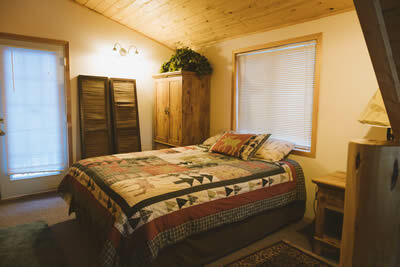 A viewing deck and sleeping quarters are on the second level with two-queen beds separated by a privacy wall. 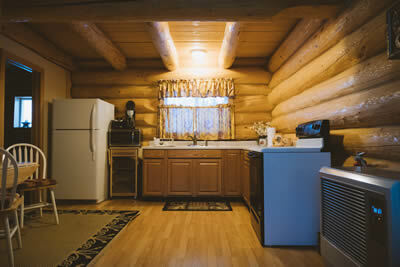 Our cabins even include a full-size washer and dryer at no additional cost. Winter, Summer, Spring or Fall, Diamond Willow Inn is the place for exceptional outdoors vacations!